Academic editors can be the difference between success or failure when it comes to grades and publication. When you want to present your hard work in its best light, Elite Editing is the intelligent choice. Our senior PhD-qualified editors are at peak international standard in the field. We are here to offer superior copyediting and proofreading for your work. Dr Ellen McRae has extensive experience as an editor, scholar and translator. She has worked as an editor for over 25 years, both in-house and as a contractor. Her many years of experience make her an extremely accomplished editor who has assisted thousands of writers to express themselves more clearly and have their work published. Although she has edited a variety of genres, including trade fiction and legal texts, she has specialised in editing academic writing, including postgraduate theses, since 2004. She is also a professional translator of academic and literary texts. She received her PhD from the School of Languages and Literature at the University of Auckland in 2011, and she has an excellent record of publication including book chapters and journal articles. Rachel Wheeler is a long-time member of the Society of Editors (WA) and the Institute of Professional Editors, and has extensive experience in academic, public policy and postgraduate student thesis editing. Rachel was contracted to raise the peer-reviewed publication output of postgraduate and academic researchers for Edith Cowan University (ECU) in the Faculty of Education and the Arts, and has worked as an academic editor for Murdoch University and an in-house research writing consultant for ECU in the Faculty of Computing, Health and Science. She has worked extensively in public policy editing for the WA State Government. Rachel has also worked in several university student advisory positions and has a particular interest in raising both the quality and profile of research publications within the tertiary education sector. Rachel holds accreditation with the Institute of Professional Editors. Dr Sherilyn Goldstone has 12 years of experience in biomedical research, and has published over 20 peer-reviewed articles and book chapters in the specialist literature. She has worked as a science writer and editor throughout Europe and Australia, and has extensive experience in academic editing as a freelancer working primarily with biomedical researchers and academic publishing houses, and within the university environment. Her broad interests are in biology and medicine, though her eclectic taste in literature means that she is comfortable working with a broad range of subject areas. 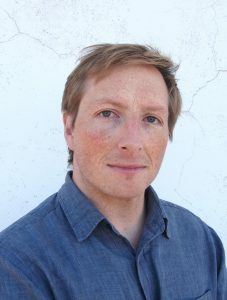 Dr Avan Stallard is the author of two books, Antipodes: In Search of the Southern Continent (academic history) and Spinifex & Sunflowers (literary fiction), along with various academic and popular articles. In 2011 the University of Queensland recognised his outstanding contribution to the field of history with the Dean’s Award for Excellence. Avan has taught at both universities and secondary schools. He has considerable subject-area knowledge across a diverse and eclectic range of fields. His extensive writing experience allows him to focus on editing for plain English based on an understanding of each audience’s needs and preferences. He also has first-hand experience with the difficulties of writing in a second language, having learnt Spanish as an adult. Dr Carody Culver has over 10 years of diverse academic editing and communications experience. She’s edited numerous PhD, masters and honours theses, journal articles and academic manuscripts across a range of disciplines; her area of expertise is literary studies, and she’s also particularly interested in the performing arts, cultural studies, media studies, fashion and film. 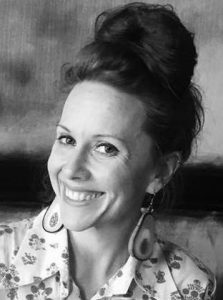 She’s taught postgraduate students in writing and editing at The University of Queensland’s School of Journalism and Communication, has had academic papers published in the Journal of Language, Literature and Culture and M/C Journal and performs regular editing work for two of Queensland’s leading universities. Carody has also undertaken professional copywriting and editing projects for various government, corporate and tertiary organisations, including the State Library of Queensland, Queensland Curriculum and Assessment Authority, Queensland University of Technology, The University of Queensland, StudySelect and the Supreme Court Library of Queensland.